Campbell Wigs are not limited to making wigs for stage & screen. We pride ourselves on offering a high-quality wig creation service to all, including chemotherapy, alopecia, trans, trichotillomania and natural hair thinning clients. We consult with you in person and provide a no-obligation quote. Choose to visit our London studio or even arrange a discreet home consultation at your convenience. 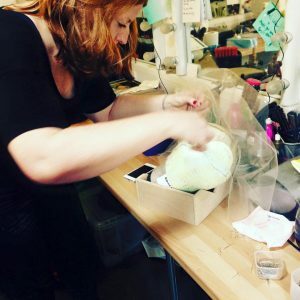 Campbell Wigs specialise in designing and making film quality wigs for all occasions by bringing superior industry talent together. We believe everyone should have access to the finest results.